Four years ago today, I was wading through responses to our craigslist ad for an Office Manager. When I wrote the ad, I went out on a limb and tried something non-traditional and creative, attempting to appeal to the heart and mind of a very special person. To my surprise and relief, after several weeks and several hundred applicants, it worked. That very special person was Khanh Stenberg. She joined Viget in May 2010. I think in my seven years at Viget, writing that job listing may have been my greatest achievement so far because it helped us find and hire one of our most influential people to date. 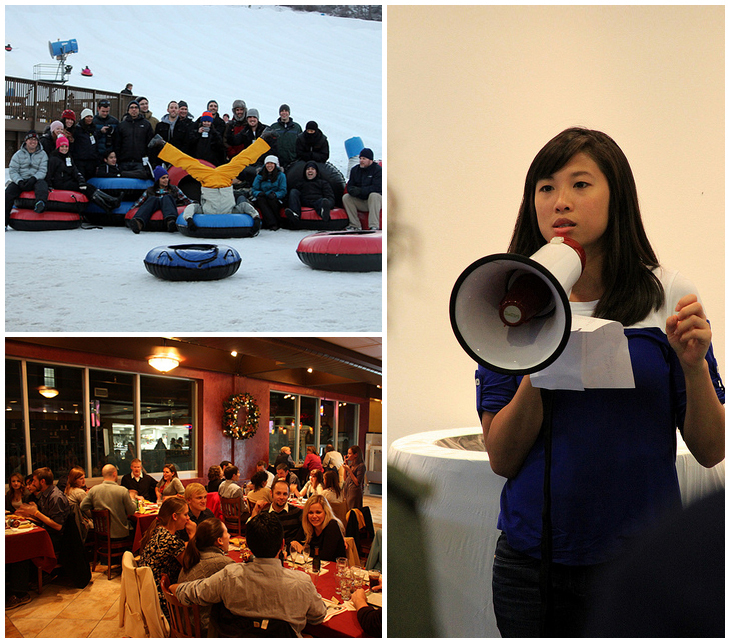 Since Khanh started working at Viget she has had an enormous impact on our company. In the beginning, it was easy to be impressed by her cheerful demeanor, positive outlook, and willingness to dive right in. There was immediate outward evidence of her organization, attention to details, and investment in the people and space around her. Early on, she reorganized the kitchen spontaneously, made pancakes for no reason occasionally, and suggested a weekly fresh fruit grocery run. But, her talents have really shone over time, as we’ve seen the proof of her foresight, diligence, and thoroughness. We’ve seen it in the wildly successful out-of-the-office events she has planned; the holiday dinners she has organized; the ways she has refined and improved documentation and processes; and in the quirky holiday project tradition, to which she’s brought grace, creativity, and a strict production schedule. 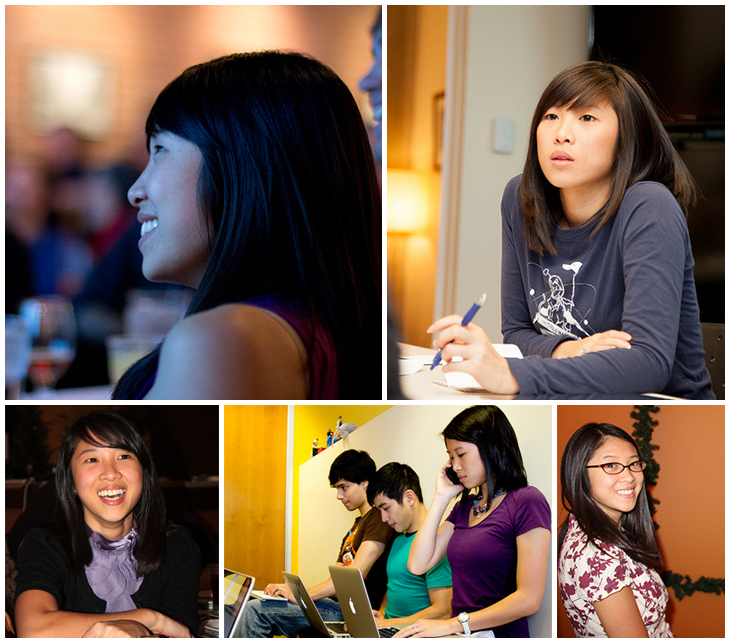 In her four years at Viget, Khanh has organized sixteen company events. She took us paintballing, paddleboarding, and go-karting. She masterminded our cooking, canoeing, skating, and egg drop competitions. She scoped, planned, and enabled some of our most magical, memorable, meaningful, and hilarious moments of the last four years. She thinks of everything, considers everyone, masterfully settles on the right priorities, compromises in the best ways, and consistently makes great decisions. The cumulative effect of Khanh’s accomplishments has made Viget a better place. We’re more cohesive than ever, despite being bigger than ever. We celebrate more, laugh harder, and know each other better. As Khanh consistently knocks her daily, weekly, and monthly recurring tasks out of the park (which often involve getting the rest of us to do things, provide updates, or submit info), she has silently prodded a few of us disorganized, well-meaning procrastinators into better habits. The high bar she holds herself to rubs off on the rest of us. 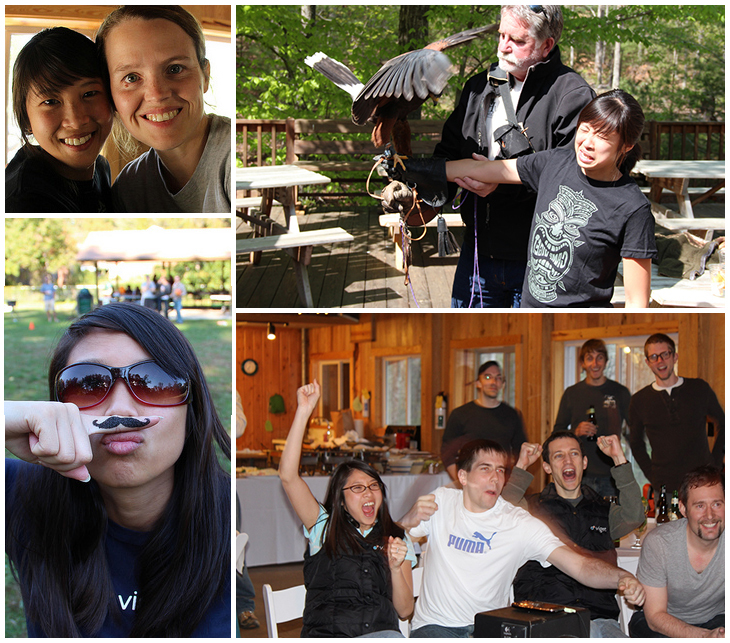 By embodying Viget’s core values, and by being so visible and integrated into everything we do, Khanh helps cultivate and maintain Viget’s culture of excellence. In short, she helps make Viget awesome. Khanh let us know a few weeks ago that she is expecting her first baby at the end of August. We are thrilled for her. We love babies. We’ve been expecting the news since the beginning; Khanh told us early on that she hoped she would eventually have children and be able to be home with them when they are young. Of course Khanh had a plan, of course it was thought-through, and of course it seems to be coming together well. So, now I turn my attention to the next wave of eager, ambitious applicants for a very special, very demanding, and very important position. I’m excited! I can't wait to meet our next Office Manager and I'm curious to see how his or her unique talents will influence the company. The role will be a little different this time around, as Khanh plans to stay involved with Viget on a part-time basis, continuing some of the accounting and event-planning work she’s been doing for four years. The core of the job remains intact, well-defined and well-documented. Whoever accepts this position will find things in great shape -- a beautiful baton ready to be handed off with equal measures of grace and grit. Brian, Andy, Cindy, and the rest of us are confident that our new Office Manager will have his or her own spin on things, surprising and delighting us with new ideas for how Viget can evolve and flourish.